Ukrainian authorities are not making any efforts to hold a national dialogue, and are instead opting for military pressure and the isolation of eastern regions, Russia’s UN envoy said, accusing Kiev of being selective over which civilian deaths to mourn. “This whole time Kiev was preparing for war. And they didn’t even hide it,” Vitaly Churkin told the UN Security Council on Monday. Since September, while evading any direct dialogue on the implementation of the Minsk agreement, Kiev has been strengthening its military positions in southeastern Ukraine. “Along the frontline they deployed forces and equipment, including heavy weaponry; new mobilizations were announced, they put in new orders to military factories. At the same time, instead of measures for the economic reconstruction of Donbass, a policy of suppressing the uncontrolled region has been conducted,” Churkin said. 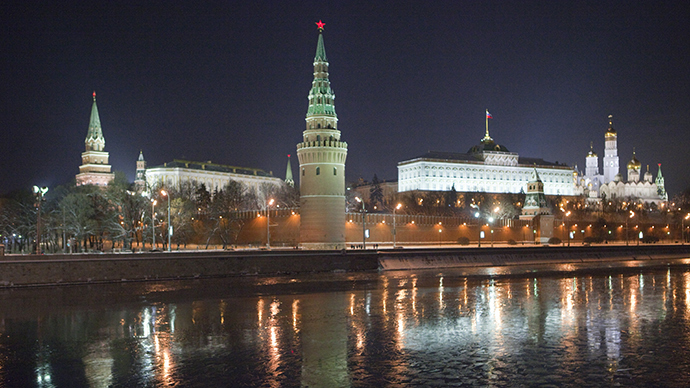 “The only thing that will lead to is an even greater catastrophe,” Churkin warned. 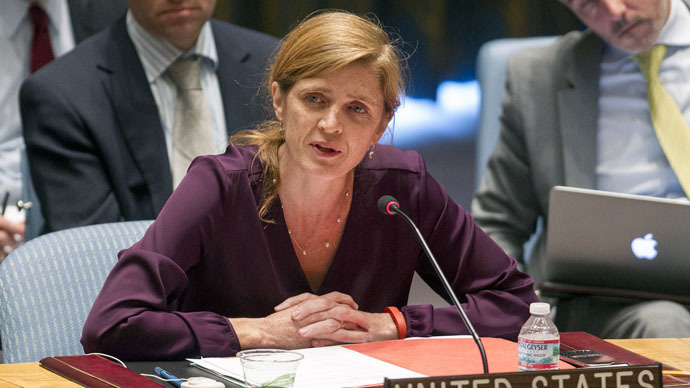 Meanwhile, US Ambassador to the United Nations Samantha Power accused Moscow of plotting to annex neighboring Ukraine. “Russia’s end goal remains...to seize more territory and move the line of Russian-controlled territory deeper and deeper into Ukraine,” she said. British Ambassador Mark Grant took the anti-Russian rhetoric a bit further, accusing Moscow of transferring weapons to rebels in the east of Ukraine. “Apparently, peace in Donbass is not in [the] interest of Kiev’s ‘party of war’ in the first place,” according to Churkin, as representatives from Kiev did not attend the Minsk contact group meeting on January 16. At the same time, Churkin assured that Russia is compliant with the Minsk agreement to settle the Ukraine crisis. “We are in contact with the sides, the leadership of Ukraine, and the rebels and representatives of interested countries, including in the Normandy format,” Churkin said. The Russian envoy reminded the 15-nation Security Council of the hundreds of deaths that have occurred as a result of the Ukrainian military’s “indiscriminate shelling” of civilian areas. Over the last week, over 100 people have been killed in the town of Gorlovka alone, and the Western media chose to ignore it, the Ambassador said, instead selectively focusing on two incidents – the shelling of a bus in Volnovakha and an assault on a neighborhood in Mariupol last week. 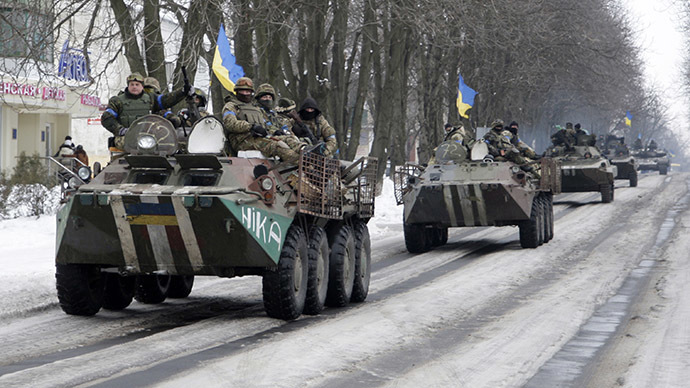 “And it’s quite clear why – both cities are being controlled by Kiev’s forces,” Churkin said. A similar tragedy in Donetsk, when 13 people were killed in the shelling of a bus stop, was not followed by mourning marches in Kiev, nor was an urgent meeting of the Security Council called, the Russian envoy said. “It is impossible to ignore the fact that the tragedies of last few days are quite traditionally being used by Kiev to fan the flames of hysteria,” Churkin said. 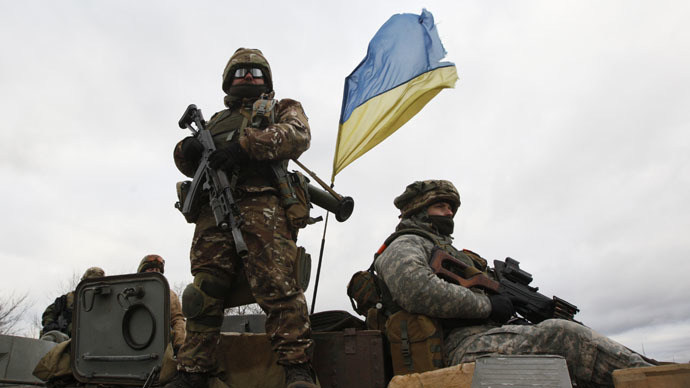 The accusations against militias pop up instantaneously, giving an impression they are being “prepared in advance,” he said, accusing Kiev of using any tragedy to call for more financial and military assistance from the US and its allies and to exert pressure on Russia. “But as soon as the propaganda trick has come to an end, the interest in it falls very rapidly. After some time has passed, very often one finds that the information is very far from what was said initially,” Churkin said. 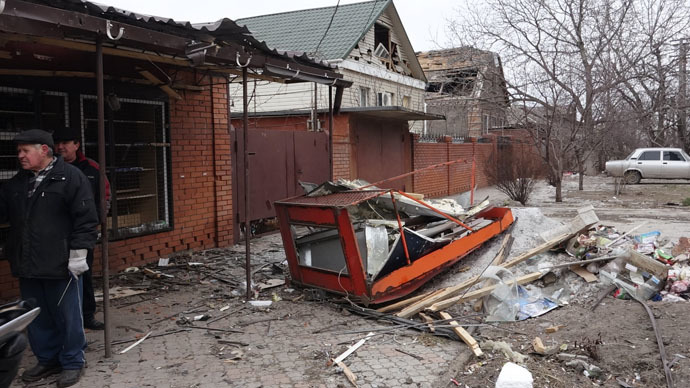 In light of this, Russia, according to Churkin, is urging an objective investigation into all of the January incidents in Volnovakha, Donetsk, and Mariupol, as well as earlier crimes – including the Maidan and Odessa tragedies. Taking the floor at an emergency Security Council meeting, UN Under Secretary-General Jeffrey Feltman told the session that a rocket attack on the Ukrainian city of Mariupol that killed 30 people on Saturday is a violation of international humanitarian law. “Mariupol lies outside of the immediate conflict zone. 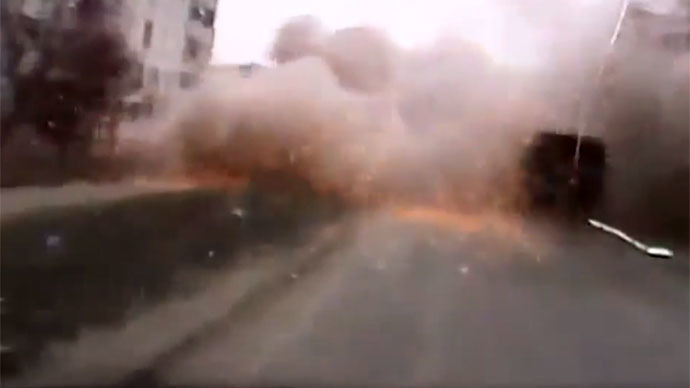 The conclusion can thus be drawn that the entity which fired these rockets knowingly targeted a civilian population,” said Feltman, revealing the crater analysis by the Organization for Security and Co-operation in Europe. “We must all send an unequivocal message: The perpetrators must be held accountable and brought to justice,” he said. The Ukrainian conflict began last April when Kiev launched a military operation in the southeastern Donetsk and Lugansk regions, after the regions refused to recognize the country’s new coup-imposed authorities. 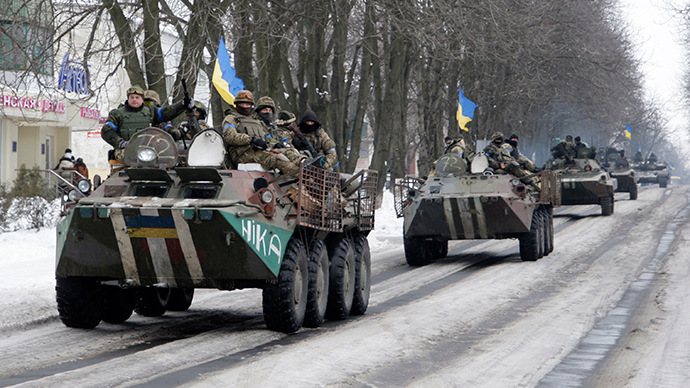 The death toll in the Ukraine conflict has exceeded 5,000 people. Over 10,000 have been injured, according to UN estimates.